She was a university student whose dreams of becoming a high-school teacher came to a brutal end one weekend night last month. She stepped in to protect two teenage girls from harassment by three men at a fast food restaurant in central Germany, enraging the girls’ male tormenters. One of the men has reportedly confessed to striking the young woman in the restaurant’s parking lot after confronting her when she left the restaurant. She crumpled to the ground and stopped moving. 22-year-old Tuğçe Albayrak didn’t hesitate to run to the aid of two young girls aged 13 and 16 who were crying out for help, but her courageous act cost her her life She fell into a coma following the attack two weeks ago and, on her 23rd birthday last Friday, her parents made the difficult decision to turn off her life support when doctors told them their precious daughter would never regain consciousness and was brain-dead. “Like countless citizens, I am shocked and appalled by this terrible act.” German President Joachim Gauck wrote in a letter to Albayrak’s family, “Where other people looked the other way, Tuğçe showed exemplary courage and moral fortitude.” In so doing, he added, she had “become herself a victim of a brutal crime”. 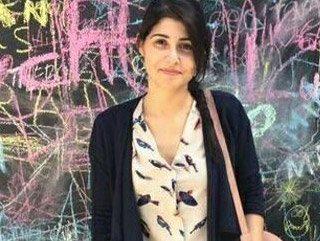 Tuğçe Albayrak’s death on Friday has left Germany in shock. There were candle-lit vigils in Berlin and other cities honoring this brave young woman with signs written in German and Turkish praising her courage. To date, more than 100,000 people have signed a petition calling for the German President, Joachim Gauck, to posthumously award Ms Albayrak the national order of merit. The irony is that this tragedy and many others like it are daily occurrences at the same time that the UN continues to raise awareness of aggression again females by observing the International Day for the Elimination of Violence against Women and 16 Days of Activism against Gender Violence (ending on 10 December, Human Rights Day). Tuğçe Albayrak’s violent death at such a young age needs to anger us; to be a reminder that there is still much to be done; and that we must all believe that we can contribute to ending all violence. The world CAN be free from violence against women — that is a woman’s inherent right. This entry was posted in Daughter, Inspirational, Women and tagged #16days, #orangeurhood, harassment, hero, heroine, herstory, inspiration, Inspired by my mom, inspiring story, Tuğçe Albayrak, UN Women, Violence against women. Bookmark the permalink. Reblogged this on Alexa Rose.